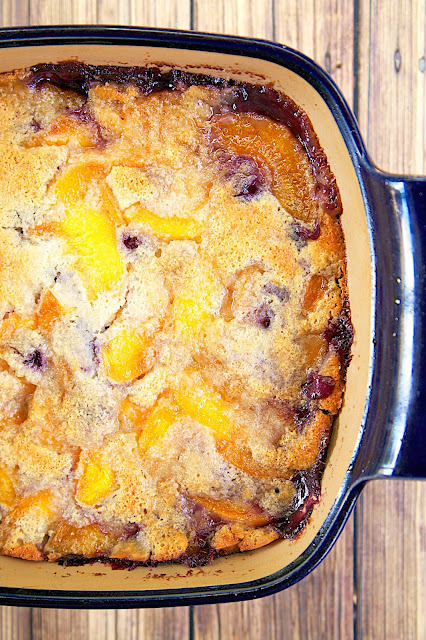 I’m so excited to share this amazing recipe and super cool announcement with y’all. If you’ve followed me for any length of time, you know about my amazing relationships with Martha White and White Lily. 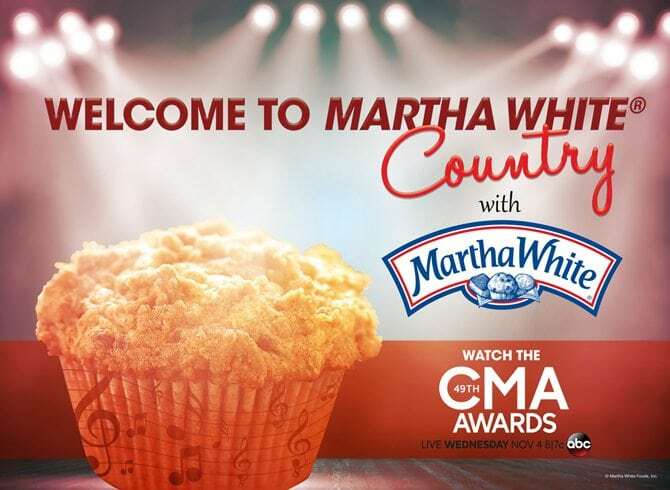 Well, as a Martha White Ambassador, I super excited to announce that Martha White is a new partner with the Country Music Association. And trust me, that’s huge for me and for you! It’s good for me because I get to attend the live taping of the CMA Country Christmas special and give y’all a behind the scenes look at all the awesomeness. How cool is that?!? 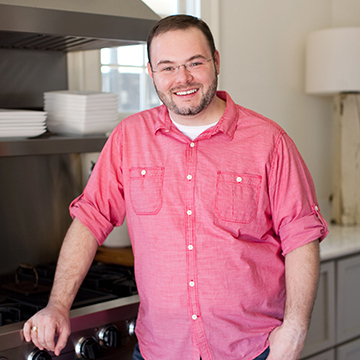 (If I meet Jennifer Nettles, do y’all promise to come see me in the hospital?) But it’s great for you because Martha White is giving away 4 round trips for two to the 49th Annual CMA Awards which will air LIVE from the Bridgestone Arena Wednesday, November 4 at 8|7c on ABC. Say what?!?! Yep! The prize package includes tickets to the CMA Awards, round trip airfare, meals, tickets to the Country Music Hall of Fame, and they’ll even drive you around when you’re in Nashville – which is totally one my favorite cities, by the way. I can tell you all the great places to go and eat!! 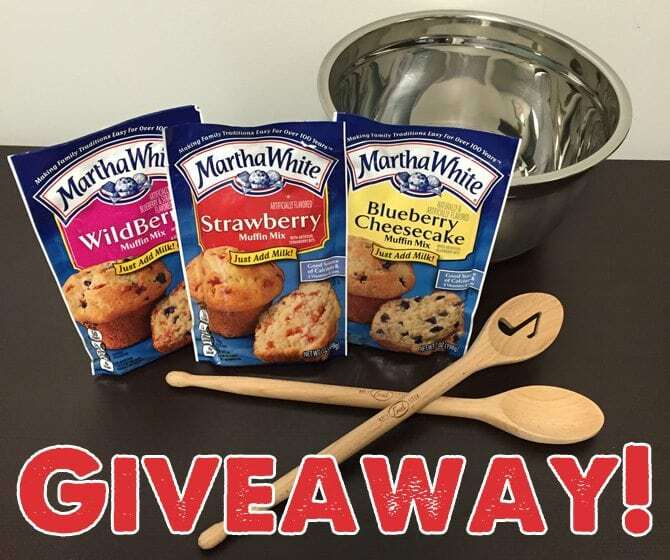 🙂 Click over here to the Martha White Facebook page to enter! | Official Rules | The CMA Awards Promotion ends at midnight on September 30th, so get your entry in today! Right now! Now. Click it! 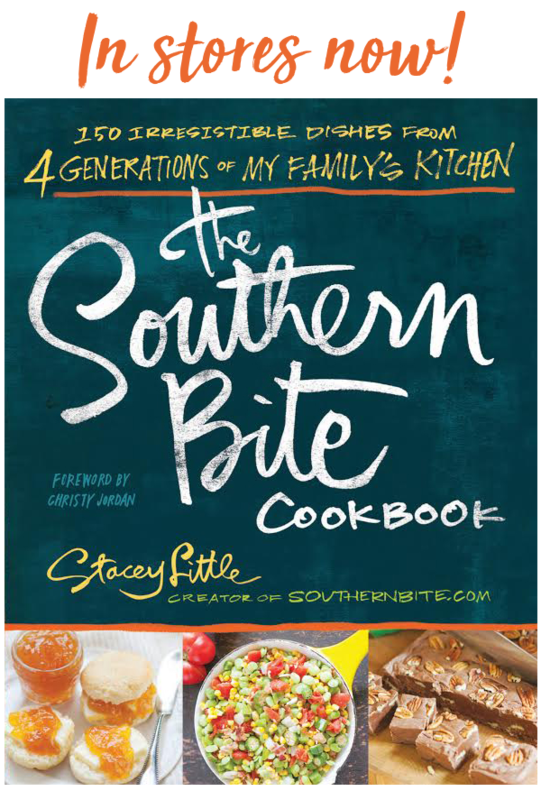 To celebrate, the folks at Martha White have developed recipe especially for Southern Bite! How cool is that?!? 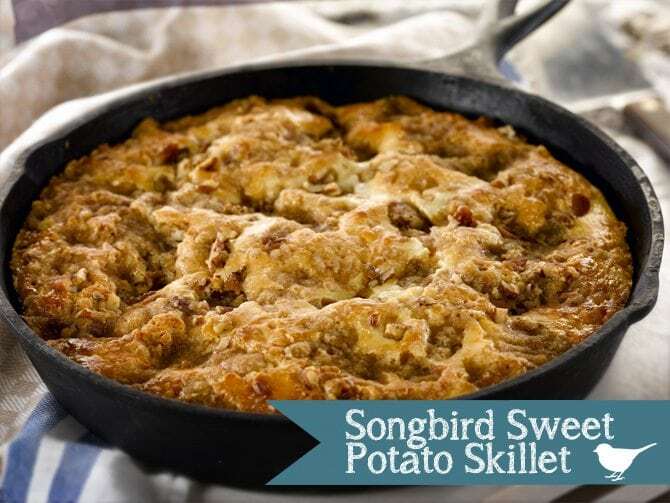 This Songbird Sweet Potato Skillet is absolutely divine. 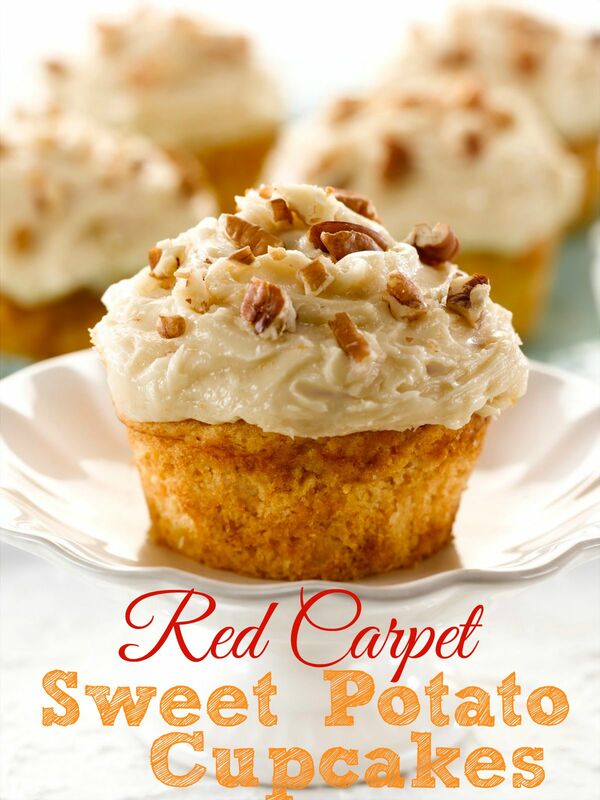 Made with the new Sweet Potato Muffin mix it has cinnamon, pecans, and swirls of cream cheese. 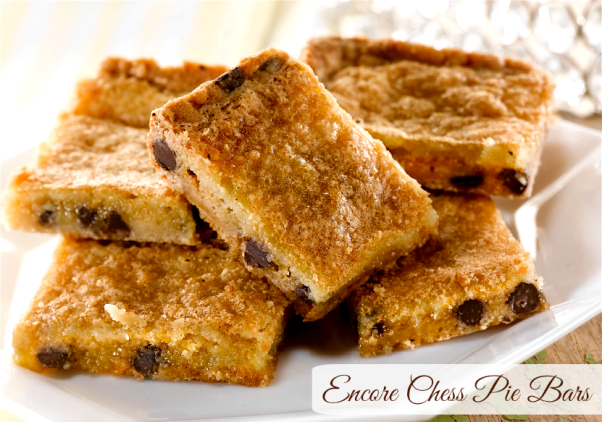 It’s great as dessert and even better for breakfast – almost like a coffee cake! I just know y’all will love it as much as we did! I really love it best when it’s warm, so be sure to try it that way. STIR all topping ingredients together in small bowl until mixture resembles coarse crumbs. skillet. 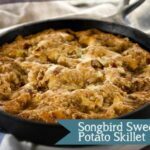 Spoon filling over batter. Swirl with knife bringing some batter to the top. room temperature. Store in refrigerator. © Martha White Foods, Inc. Crisco is a trademark of The J. M. Smucker Company. 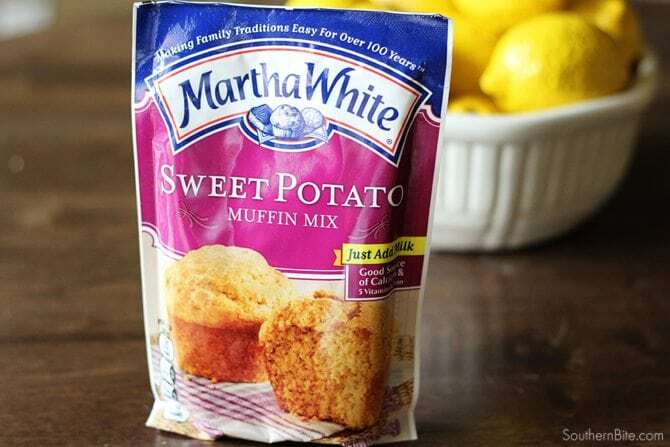 Join my friends and fellow Martha White Ambassadors to check out their great recipes made with Martha White, too! You can also enter to win their giveaways as well so you can quadruple your chance of winning that sweet prize pack!